Have your favorite drink within reach as you scoot around! 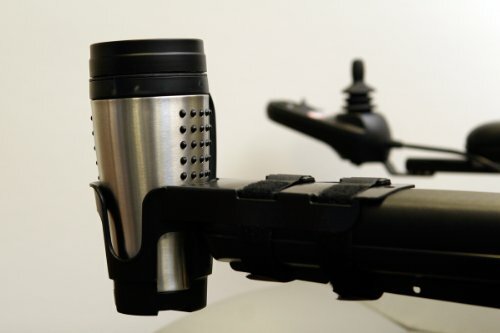 The drink holder easily attaches onto your handle bar of your device and has a base size of your average 8 oz coffee mug. Easy to install, just place the clip over your handlebars, and insert and tighten the thumbscrew. 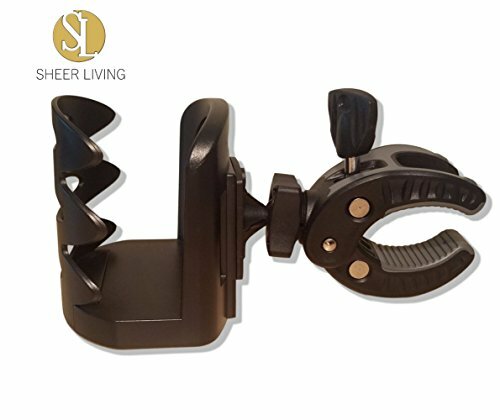 The drink holder can swivels to keep contents level. Fits most drink sizes and cups - approx 3.6" diameter. Fits on handlebars or walkers from approx 5/8" to 1" in diameter. 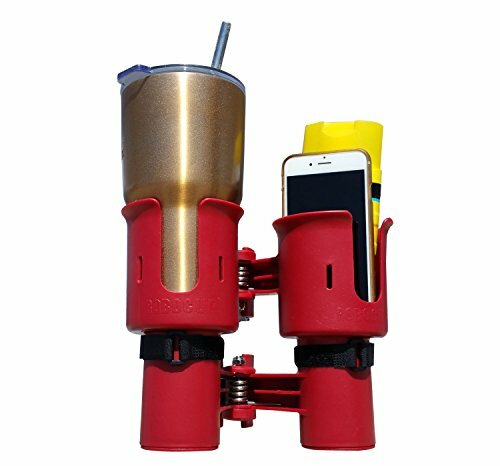 The BodyHealt Waterproof Adjustable Universal Drinking Cup Holder gives you unlimited possibilities of mounting locations. 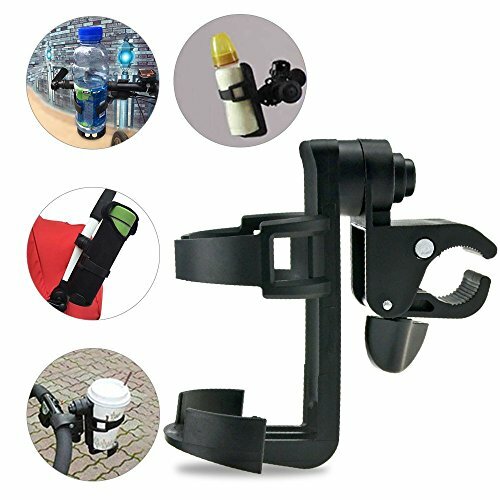 It hold cups and bottles with an easy reach.It is the perfect cup holder for your wheelchair. You don't have to worry about removing it every time you collapse your chair. Now you can keep your drink without spilling it. Your hands are free to get your wheelchair around. You'll save from spilling drinks in your lap.Learning to live in a wheelchair is difficult enough but the addition of the cup holder is marvelous. In addition to carrying drinks, It is useful for carrying small items, mail, gift bags, and more.It clips on very easy and this one stands out. The design of the cup holder makes it easy to click on or pop off. 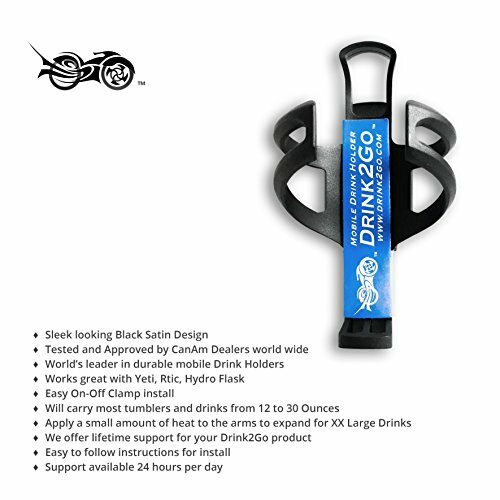 This is a very useful product not only for wheelchairs and strollers but also while driving your car, placing it on a bicycle, while practice playing your drumset and more!This is invaluable for drinks to keep your drinks from spillage. 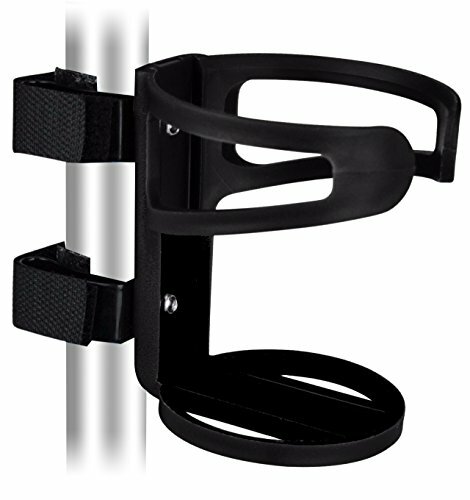 The holder gives you unlimited possibilities of mounting locations. BodyHealt Waterproof Adjustable Universal Drinking Cup Holder is exactly what you needed for your upcoming road trip. A nice product that fits your deck railings well and perfect for those outside gatherings. 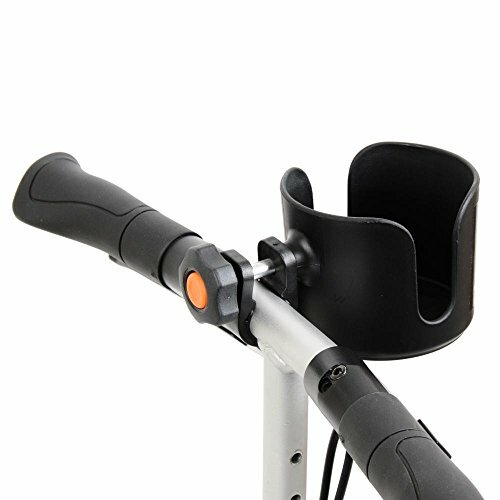 Keep your bottle of ice cold water right at your fingertips with Challenger's Scooter Bottle Holder. 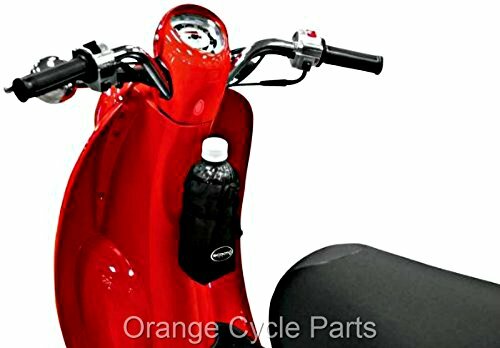 The Scooter Bottle Holder secures conveniently to the tiller of your scooter and holds 12 oz. bottles perfectly. 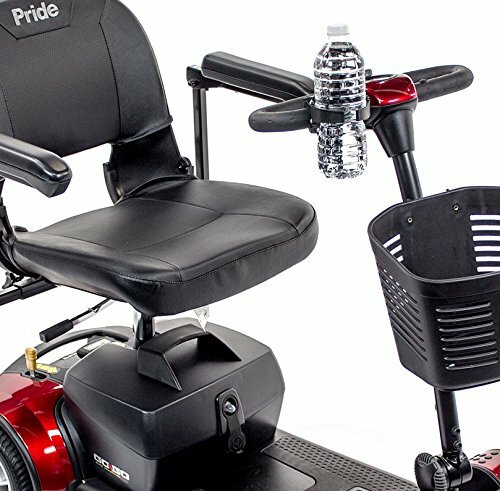 Challenger's Scooter Bottle Holder is the perfect solution for drinking on the go! Features: | Shock-resistant and slip-resistant | Sturdy, durable design | Easy to install | Fits easily onto your scooter's tiller | Strong no-slip clamp | Made from high quality ABS plastic materials | Lightweight and adjustable | Approximately 5 7/8"H x 3 ¼"W | Holds 12 oz. bottles | No tools needed | * Instructions: Turn tightening knob to tighten the clamp onto your scooter's tiller. When the Scooter Bottle Holder is clamped tightly onto your tiller, push down tightening knob to secure.